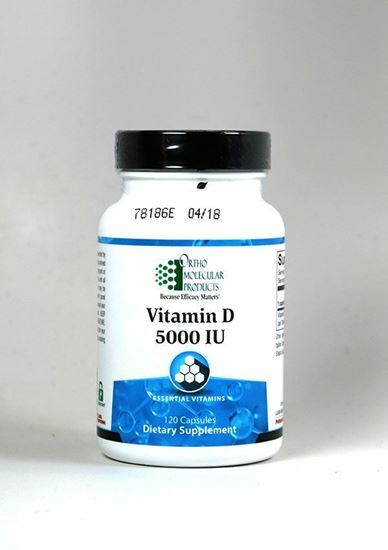 Vitamin D 5000 IU by Ortho Molecular is a natural vitamin d supplement that contains cholecalciferol vitamin d3. Recent studies have shown a trend toward increased deficiency of vitamin D in the body, underscoring the need for supplementation, especially for the elderly, as well as for those who get less exposure to sunlight. Adults: As a dietary supplement, 1 or more capsules per day or as recommended by your healthcare professional. Other Ingredients: natural vegetable capsules. This product may contain one or more of the following: calcium silicate, magnesium stearate, microcrystalline cellulose, silicon dioxide and stearic acid.